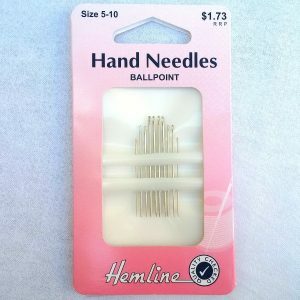 Ballpoint needles have a rounded point and are used for knit fabrics. 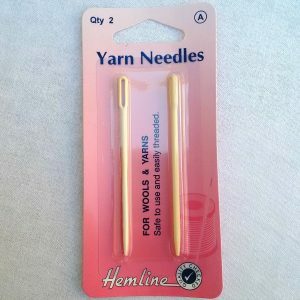 Their rounded point goes between the yarns instead of through them. The smaller the needle size, the larger the size eye. 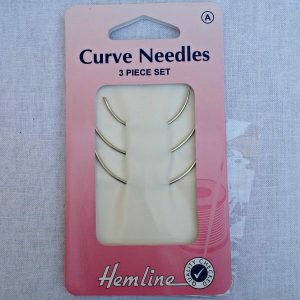 Extra long and very fine needles specially designed for beading. 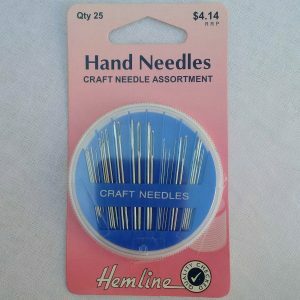 Contains 25 assorted needles for cross stitch, tapestry, beading, candlewicking, embroidery, quilting and other sewing crafts. Comes in a handy compact case. 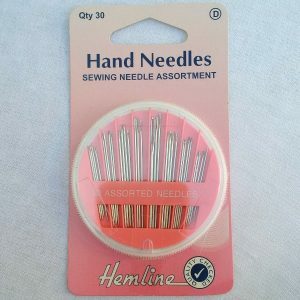 Contains 30 assorted needles – betweens, sharps, tapestry, embroidery of various sizes. Comes in a handy compact case. 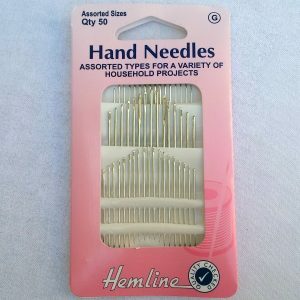 A comprehensive selection of Sharps, Embroidery, Ball Point, Quilting and Canvas Needles. Contains 50 of all the household essentials. 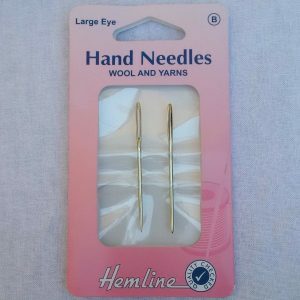 Plastic Yarn Needle Large Eye. Ideal for assembling knitted garments. Large eye suitable for threading wool and other yarns. Metal Yarn Needle Large Eye. Ideal for assembling knitted garments. Large eye suitable for threading wool and other yarns. 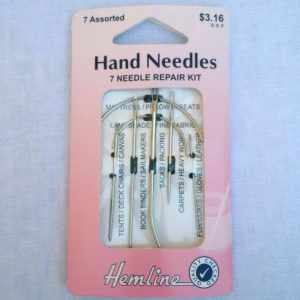 Needle Repair Kit Assorted. 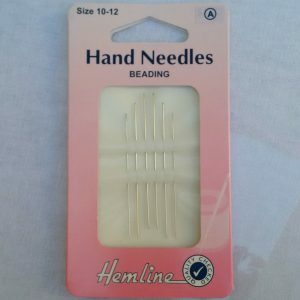 This high quality repair kit contains 7 speciality needles; curved mattress/pillow/seats needle, curved lampshade/fine fabric needle, tent/deck chair/canvas needle, book binding/sail makers needle, sacks/packing needle, carpets/heavy work needle, and fur coats/gloves/leather needle. 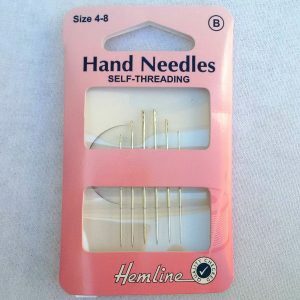 Standard needles with an open top to allow thread to pass through easily. 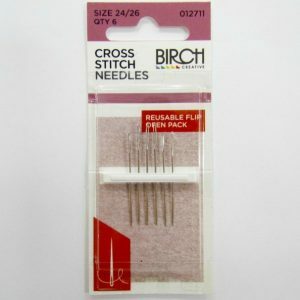 Strong needles with a triangular point which will pierce through tough fabrics and leather without abrasion or marking. 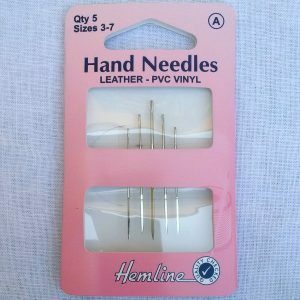 Suitable for Leather, PVC, Vinyl, Suede and many plastics.